You are here: HomenextTransportnextTransport - shipsnextMAIRANGI BAY in Tilbury. 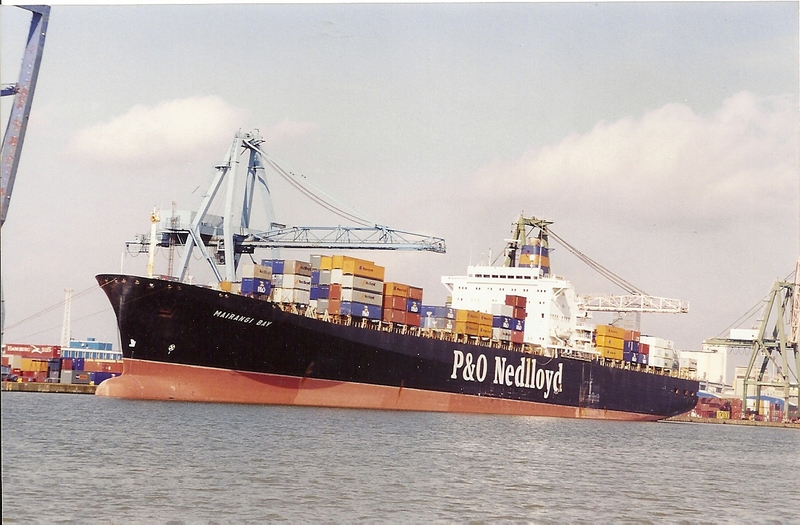 The container ship MAIRANGI BAY on TCS berth during 4/1999. She was built in 1979 at 43,674 grt for the P&O Nedlloyd Container Line.